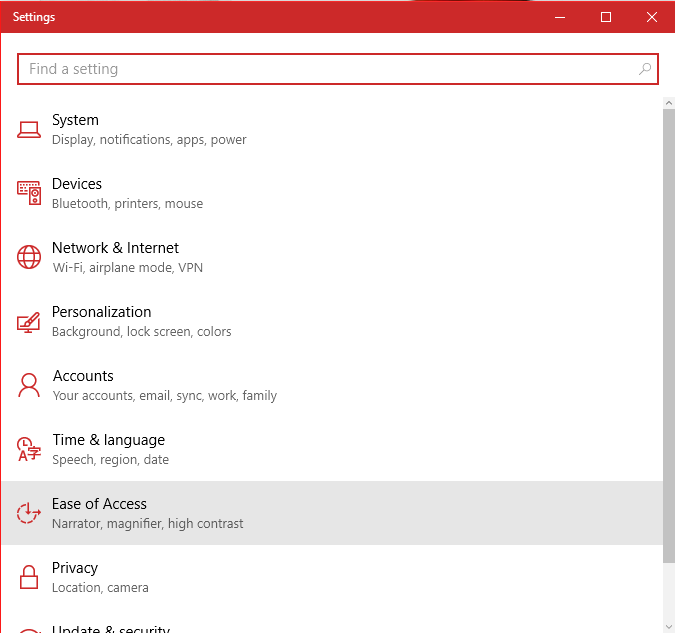 After updating to Windows 10 anniversary update, your PC got many new options like Mobile Hotspot and Connect. Now in this post, you will know how to set Keyboard, Mouse and some Visual Options in Windows 10 PC. To go to these settings follow these steps. 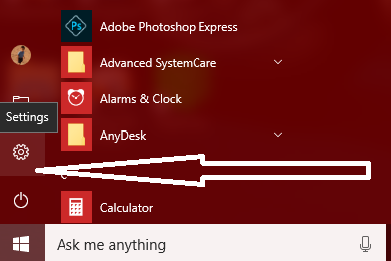 Go to Start menu and click on Settings. Now click on Ease of Access (Narrator, magnifier, high contrast). Click on Keyboard. Further, you will see following settings with you can make changes. 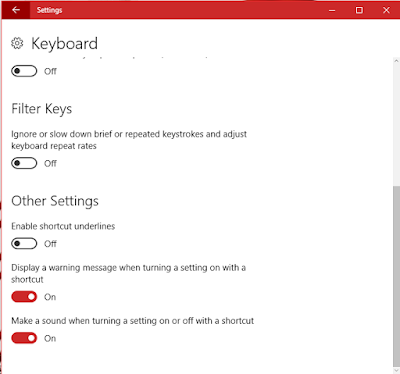 Here you can turn ON/OFF the On-Screen Keyboard. 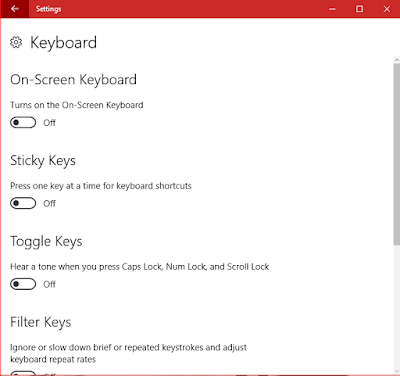 People can take help of On-Screen Keyboard in case they do not want use manual Keyboard. Due to some security reasons also people use On-Screen Keyboard. You can turn ON/OFF sticky keys from here. You can press one key at a time for keyboard shortcuts. Turn ON/OFF toggle keys from here. 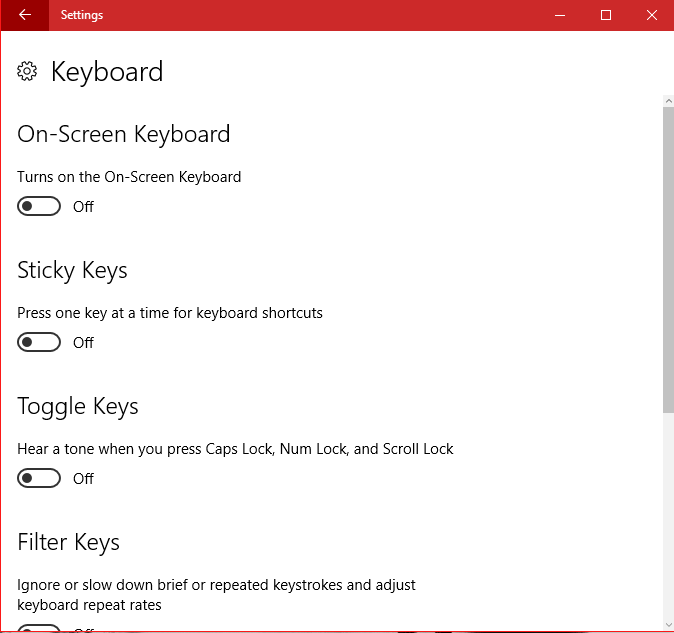 You can opt to hear a tone when you press Caps Lock, Numeric Lock, and Scroll Lock. You can turn ON/OFF filter keys from here. This option will ignore or slow down brief or repeated keystrokes and adjust keyboard repeat rates. You can enable/disable shortcut underlines from here. Further, you can opt for a warning message when turning a setting on with a shortcut and it will make a sound when turning a setting on with a shortcut. Below Keyboard settings are Mouse settings in Settings options. In Mouse settings, you can change following settings. Here you can adjust the size of mouse pointer as per your choice. You can change your mouse pointer’s color as per given options in the settings. 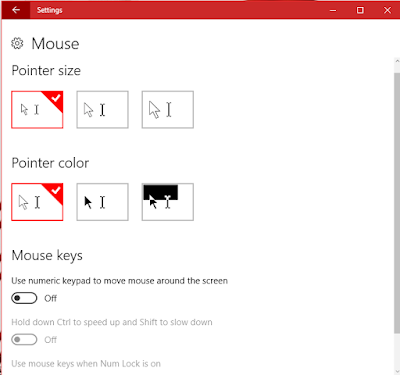 Next, you can opt to use the numeric keypad to move the mouse around the screen in case your mouse is not working properly or any problem with mouse touchpad. Further, you can turn ON/OFF to speed up or speed down while pressing Ctrl button at the time of using Mouse. Next, you can use mouse keys when Numeric lock is on. Below Mouse Settings comes Other Options. In other options come Visual options. 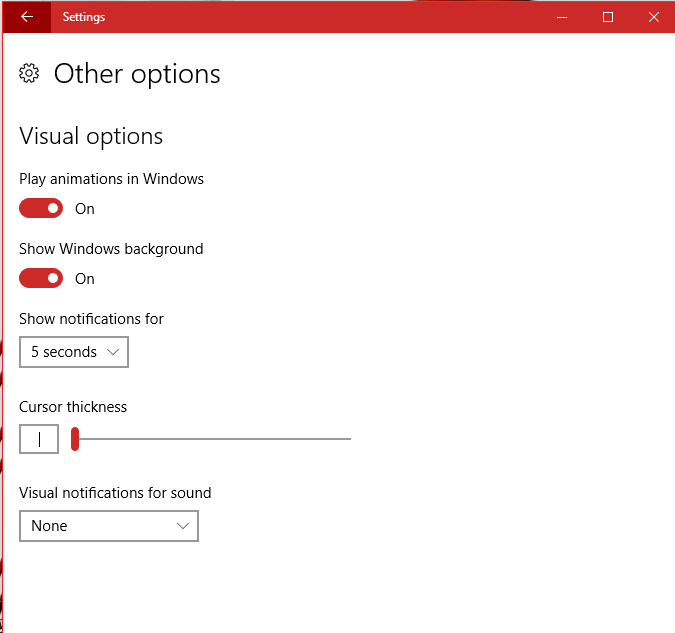 Here you can play animations in windows. You can show windows background. You can select the time frame for how long a notification should show. You can select cursor thickness from here. You can opt for visual notification for sound.